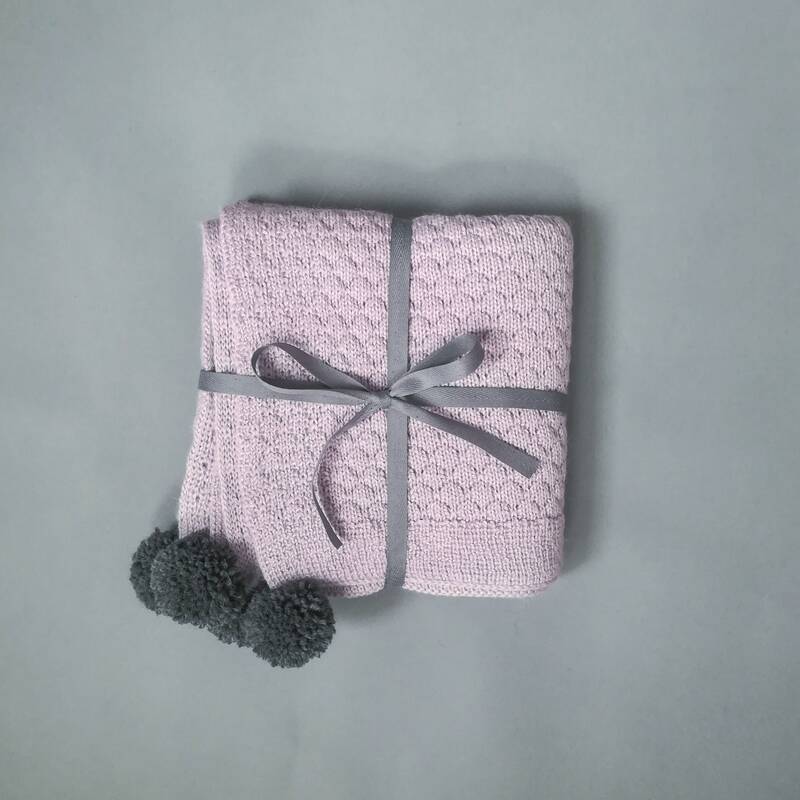 Light and warm baby blanket made of 100% baby alpaca which makes it three times warmer than sheep wool. Decorated with pompoms. 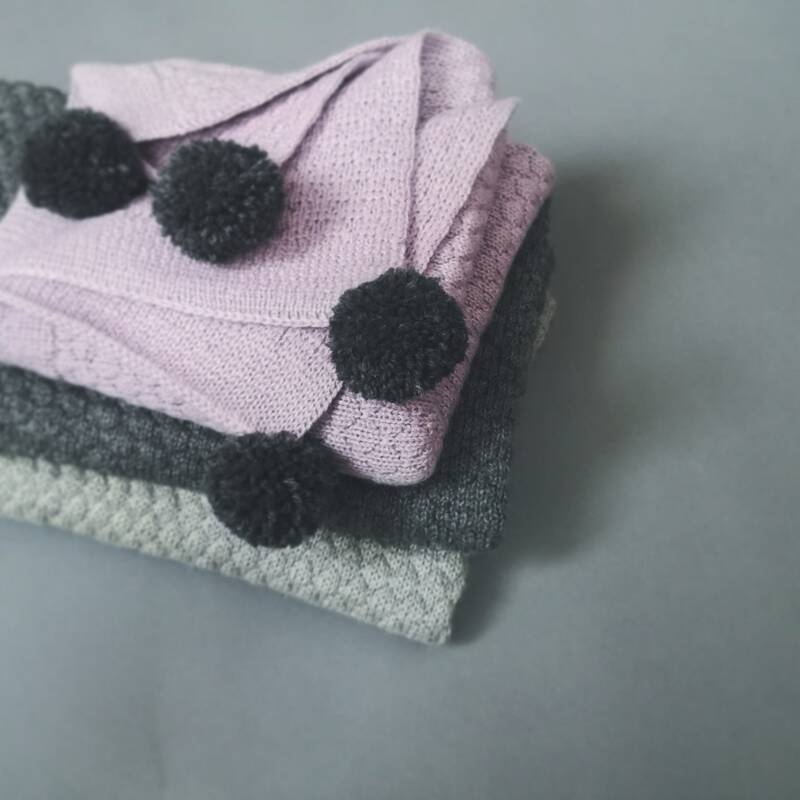 This is a listing for 1 blanket in light purple with dark gray pom poms. 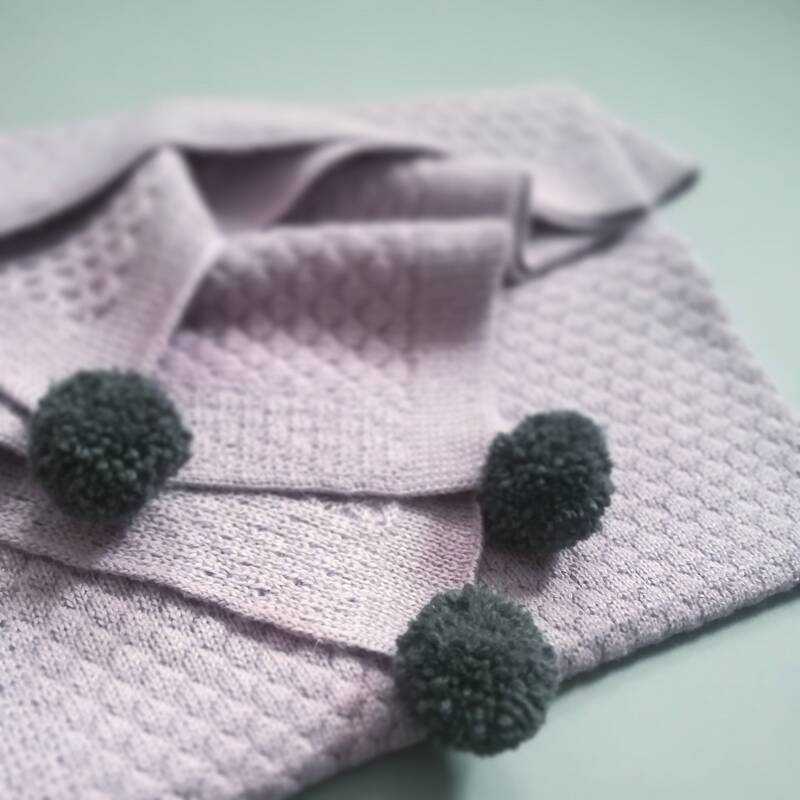 Fiber's microscopic air pockets regulate temperature, keeping your baby warm and snug.